Paruppurundai kuzhambu is one of the finger licking gravy, it is carefully prepared with protein rich dals and in addition of aromatic masalas. Dals are very commonly used in the Indian cuisine. 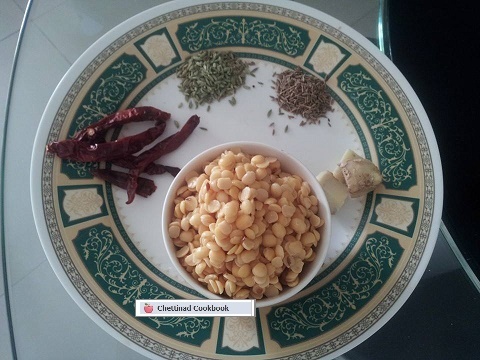 It is hard to find an Indian household that does not stock up different types dals. As dals have to prepared on a daily basis, we need to have a lot of dals on board to maintain the variety. Besides dals are types of pulses that have many nutritional values. The health benefits of dals in general is that they are very rich in proteins. As many Indians are vegetarians, these different types of pulses provide them with main source of vegan proteins. That is why, all the different types of dals are very important for the typical Indian diet. Mix all this with the ground ingredients make in to lemon sized balls. 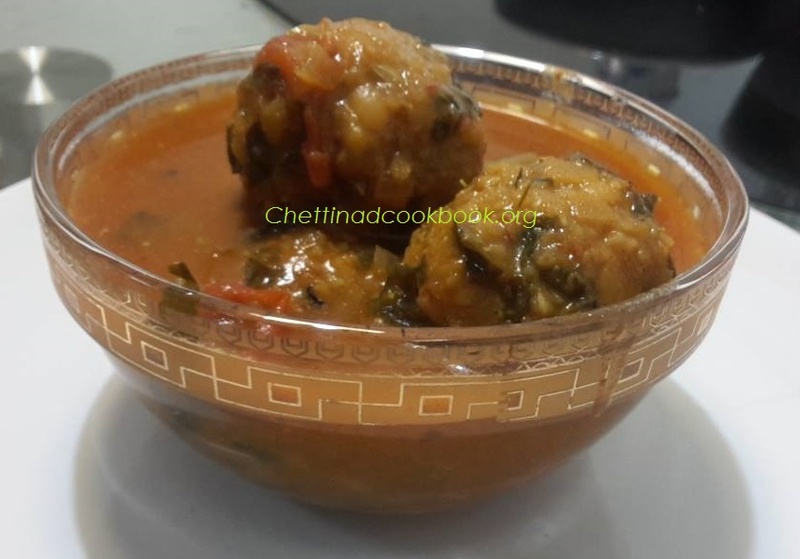 2.Boil water in idly pan steam cook these balls for 3 minutes only the outer part of balls should be cooked, inner part can be cooked in the gravy . Note: :If you steam cook for long time balls will become hard with gravy. You can add the balls directly with care while the gravy is boiling. Tamarind- 1 1/2 lemon sized extract juice. Heat pan with 2 bsp of oil season with Fennel seeds,Methi seeds nd cumin seeds. Add chopped onion and Garlic saute for few minutes. Add Tomato curry leaves nd Salt saute until it leaves the skin. Add Sambar powder and turmeric powder. Add tamarind extract 3 cups of water let it boil for 5 minutes . Now add dal balls allow it to boil for 8 more minutes. This type of kulambo or gravy goes well only for rice. 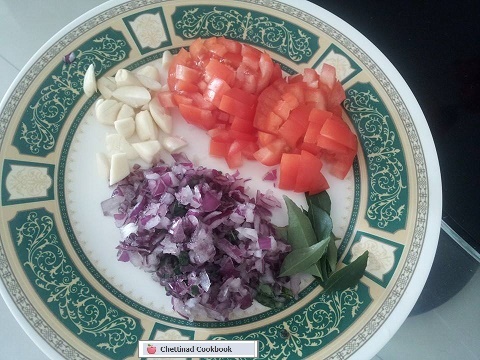 This traditional recipe isdone on special occasions when guests are invited for lunch. I have added fistful of drumstick keerai in the dal mix you can add any greens if you prefer. 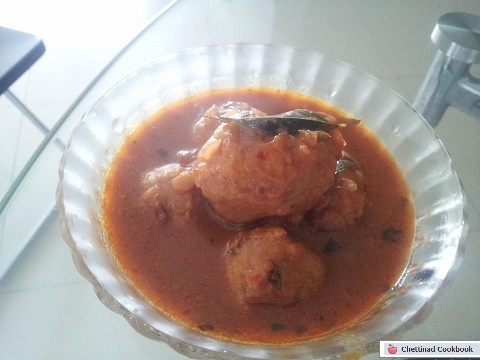 Any dal can be used to prepare balls,as you prefer.